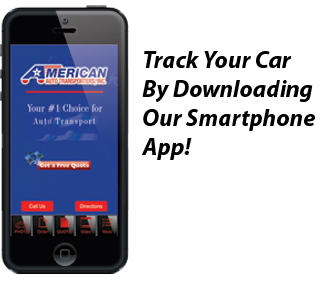 Your #1 Choice for Auto Transport! Shipping your car is a serious business that we take seriously. We encourage you to compare; we’re sure you’ll see why so many of our customers have been returning year after year since 1980: they’re satisfied. It’s the American way. Dear Sir, For the past ten years your company has handled the transportation of my car to and from Florida. I would like to express my appreciation for your services, scheduled picku-ups (always on time), delivery of car (usually ahead of schedule), and kind and considerate replys to inquiries with a sincere Thank you! For most of us, our vehicles are second only to our homes on our list of VIPs (Very Important Possessions). It’s not surprising that choosing a reliable, worry-free auto transport company in Massachusetts can be a daunting process. After all the prices are in and the promises are made, what’s really the best way to choose an company to ship your car that’s worthy of your trust? Customer satisfaction is the most useful benchmark in judging the credibility of any auto transport company. Simply put, nobody goes back for more if the job’s not done right. Over 80% of our customers are repeat customers. And more than 50% of our new customers are from referrals. This is one of the reasons why we have an A+ rating with the Better Business Bureau. 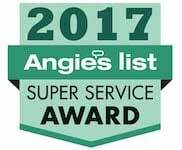 Making sure our customers are satisfied is our top priority. One example: unlike many of our competitors, we have an office and terminal fully staffed with knowledgeable, helpful, friendly and experienced professionals that are always available. We actually answer our phones from 8am – 5pm on weekdays (and 8am – noon on Saturdays). And if you need quick help during business hours, just hit the “Click to Chat” button and help will be on the way. And there’s more. When we give you a quote, that’s what you’ll pay. Period. You’ll get the peace of mind that comes with dealing with only licensed, bonded and fully-insured carriers. You can even choose from open or enclosed car shipping. Shipping your car is a business that we take seriously. We encourage you to compare; we’re sure you’ll see why so many of our customers have been returning year after year since 1980: they’re satisfied. It’s the American way. Get a Free Auto Transport Quote! Get a FREE instant quote to ship your car or motorcycle.